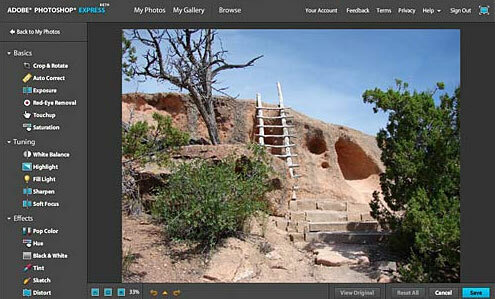 Photo Editing Apps for iPad and iPhone, Photos can capture moments in life that we’ll never forget. But what can make them even better and more memorable when we look back on them in years to come? We’ve all taken a great photo but looked back at it and wished the red eye effect wasn’t ruining someone’s appearance. Before digital cameras were in major circulation, we relied on Polaroid cameras or those which needed to have the film developed. But in a time when everything is expected to be instantly available, surely we need to be able to edit photos without any hassle? And that’s where the following to photo editing apps come into play. Before our very eyes, photos can be transformed into masterpieces; and all without much effort – or extensive skill – needed. Master of all things creative, Adobe has a great editor that enables you to quickly edit photos on-the-go and share them on your device. Basic effects such as crop, straighten, rotate and flip, to more advanced effects such as sketch filter, soft focus and sharpen tools all ensure you’re making the most of your photos on your device. With the Photoshop Express app, you can also buy an in-app Adobe Camera Pack purchase which allows you to enhance your photos as you take them, with the ability to get rid of grainy photos (sometimes caused by noise whilst you’re taking the photo) with the Reduce Noise feature. There is also a self-timer feature to help you make the most of a moment, and an Auto Review to ensure you take a good photo – or delete it if you’re not happy with it. With a long list of tools including red eye removal, spot healing, color balancing, sharpen, highlighting, exposure and gamma and levels and shadows, this app for the iPad gives you a real toolbox of a kit for editing your photos easily and quickly. You can change photo effects with vignette, pencil paint, posterize and many more, and the interface is easy to use and straightforward. The documents folder also gives the added welcome feature of having a place to easily share pictures and swap the photo you’re currently editing. 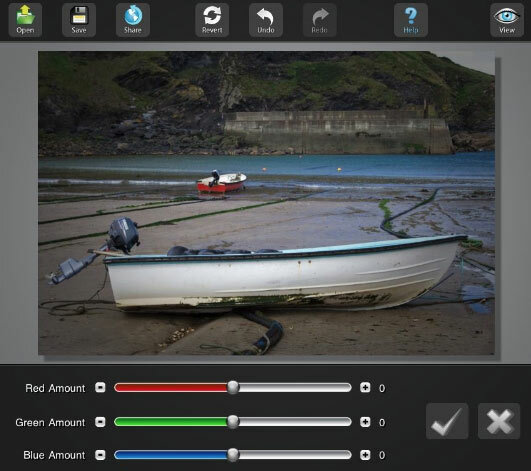 The PhotoPal app is great for editing photos and offers a quick and easy photo editing tool without the need for a PC or Mac. Both photo editing apps featured are available from the Apple store.